New Zuckerberg-Chan Pledge a Threat to Democracy? Correction: The original version of this article incorrectly stated that the size of the Zuckerberg-Chan pledge was larger than total private giving in the U.S. in 2014. It is not. The pledge is $45 billion against $358 billion in all U.S. giving. This change is now reflected in the article. This re-surfaces our concern voiced earlier this year about the effects of a growing wealth gap on our democracy, especially at a moment when so many public systems are integrating philanthropic dollars that have the potential to diminish the voices of others. Such philanthropic approaches smack of colonialism and carry with them an anti-democratic assumption that can only perpetuate and worsen inequality. 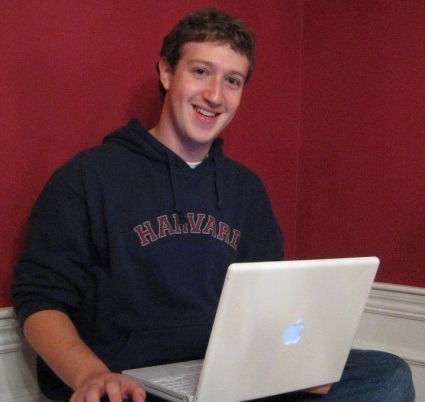 Zuckerberg, of course, has had the experience of trying to buy an outcome in such a system with Newark, New Jersey’s schools. 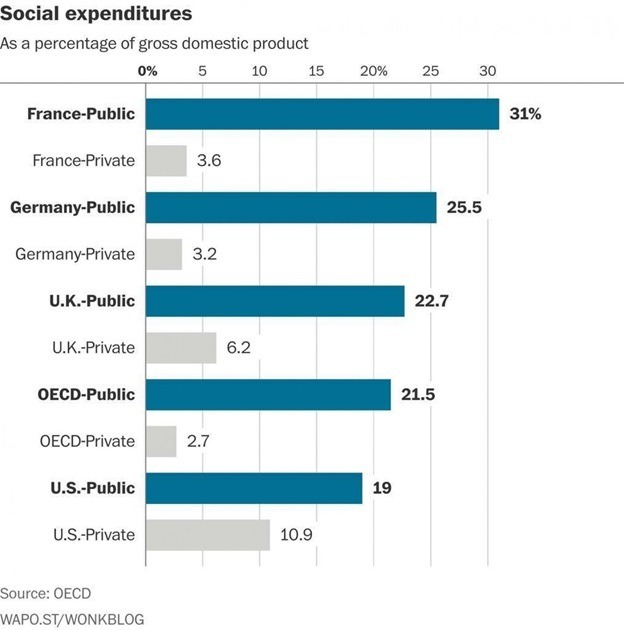 And, indeed, even in what we can see of public vs. private social expenditures, we can see from this chart from the Organization for Economic Co-operation and Development (OECD) that the United States has a bigger issue in this regard than most countries this report examined. Yet the focus of the Chan-Zuckerberg family’s giving is declared to be “advancing human potential” and “promoting equality.” In the letter, the couple spends quite a bit of time laying out the importance of the approach in making any of this happen. We must make long-term investments over 25, 50, or even 100 years. The greatest challenges require very long time horizons and cannot be solved by short-term thinking. These points do not necessarily represent a coherent set of values strong enough to counter the enormous financial footprint of this pledge. We are frankly most interested in the third point, and we wonder about the potential conflict between that and the sixth point. As we all know, sometimes so-called independent experts and the people do not agree about what is in their best interests. We’d like to see redraft of this with an acknowledgement of the inherent and enormous danger in this massive gift and a prioritizing of the second over the fifth in any area of grantmaking that occurs in relationship to democratic systems or systems where top-down (or even expert-driven) decision-making is a abrogation of the decision-making of those who will have to live with the consequences.